Rising temperature, erratic rainfall and occurrence of moderate drought are beginning to impact food production in Nagaland. In order to meet the challenge of climate change, the state is now turning to its forgotten resource–traditional food crops which can withstand higher temperatures and water-stressed conditions. The hilly state has initiated steps to revive traditional rice as well as millet varieties which, over the years, gave way to high yielding crop varieties for various reasons. Though farmers are not growing traditional varieties for sustenance, they are still the custodian of knowledge about them. In wake of climate change, these varieties will be promoted among farmers, as they are the best bet for adapting to changing climate. 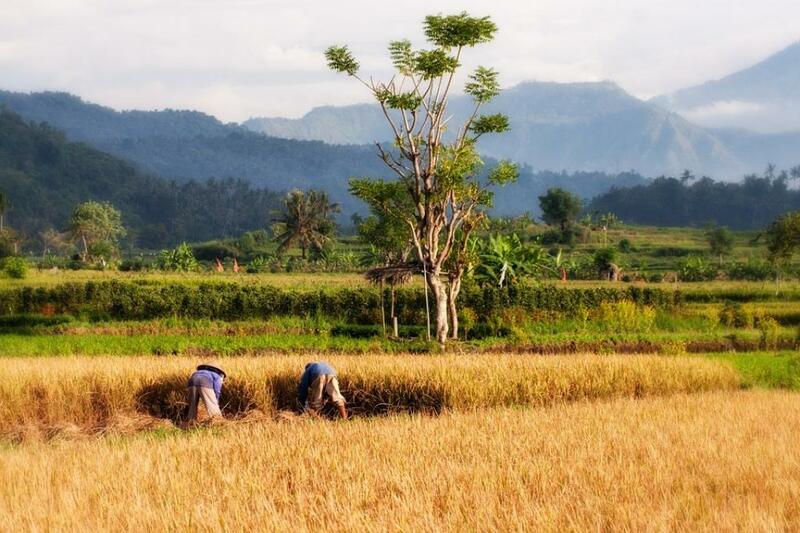 The biological diversity of rice in the state is tremendous–867 traditional ‘land races’ of rice have been identified by the State Agriculture Research Station (SARS) at Mokokchung. These rice varieties are broadly categorised as glutinous, brown and aromatic, and most of them are grown under the jhum or shifting cultivation system practised by different Naga tribes in the state. The state government has initiated a project called “gene pool conservation of indigenous rice varieties under traditional integrated rotational farming system for promoting livelihood and food security as climate change adaptation strategy.” The Rs 24-crore project will be supported by the National Adaptation Fund for Climate Change. It will be implemented in one village in each selected block in five districts: Tuensang, Wokha, Zunheboto, Mokokchung and Kohima over the next three years. All rice production systems are exposed to heat stress but rainfed uplands are particularly vulnerable to temperature rise. Heat stress leads to stunting, affecting yields. In addition, warmer climate leads to introduction of new diseases and insects. “Farmers need new varieties which are drought- and heat-resistant. Traditional rice and millet varieties can do just this, as they can grow even in marginalised lands, are highly diverse in terms of pest resistance, yield, time of cultivation and maturity and water requirement,” Dr D K Chetri, Joint Director, SARS, told India Science Wire on the sidelines of a media workshop in climate change here. “Nagaland is not adequately equipped to current climate change impacts. The state has a large existing adaptation deficit which is a priority of early action. Therefore, there is a need for developing processes for community led adaptation that are rooted in local institutions,” he added. Under the projects, field gene banks will be developed for conservation and research of promising varieties, and seed exchange programme will be initiated with the involvement of communities engaged in both jhum and terrace cultivation. Selected promising seeds varieties will then be disseminated to farmers across the state. Rice is staple food of Nagaland with about 86 per cent of the cultivable area in the state under jhum and terrace rice cultivation systems. Traditional rice varieties are grown in altitude ranging from 300 to 2500 metres. But of late, farmers are shifting to cash crops putting cereal production under stress. High intensity farming of rice and pulses, promoted under several schemes, has not been sustainable. Climate change has added a new stress factor. In the last 100 years, Nagaland has experienced increase in average annual temperature from 1.4 degree to 1.6 degree. “The projected increase in average annual temperature is 1.6 degree to 1.8 degree between 2021 and 2050,” pointed out Dellirose M Sakhrie, secretary of the state Department of Science and Technology. The rainfall is also expected to increase in intensity by 20 per cent. The number of extremely dry and wet days will increase during 2021-2050. Dr Chetri said farming practices in the state would have to be modified with changing climate, in order to ensure food and nutritional security of people.